If you are charged with a crime, it can be difficult to imagine something worse. But there is something: being convicted. You probably know that you may face consequences such as jail time, fines, probation, community service, and so on if you are convicted. What you may not realize though is that even after you serve your sentence, you still have to deal with the consequences of having a criminal record. State and federal laws prohibit offenders (primarily felony offenders, though those with misdemeanors aren’t necessarily off the hook) from exercising certain constitutional rights, obtaining certain professional licenses, and holding certain types of employment. Sometimes, the restriction is based on the type of crime committed. Most restrictions, however, apply to all felony offenders. These are called mandatory forfeitures and disabilities. Review the list of mandatory forfeitures and disabilities that can result from a conviction in New York. If any of these will have a large impact on your life and career after you have completed your sentence, it is important to talk to your lawyer immediately. What Are the Mandatory Forfeitures and Disabilities from a New York Conviction? Can You Avoid These Forfeitures and Disabilities? Fortunately, there are options available for individuals who have been convicted of a crime and, as a result, are automatically barred from certain rights or abilities. Let’s say, for example, that an offender with ambitions in a specialized area of sales was convicted for felony assault. That individual wants to obtain a license to be a salesperson, but is barred from this due to their criminal record. If the individual and their counsel can show a judge or an administrative agency that the individual is taking the steps to rehabilitate themselves and would benefit by getting a license and job in sales, they may be able to get relief from that automatic legal disability. Every case is different, and yours may call for a different strategy. If you have been convicted, talk to a NY criminal lawyer. Brooklyn Criminal Defense Lawyer: What Is a Certificate of Relief from Civil Disabilities? I’m Innocent. 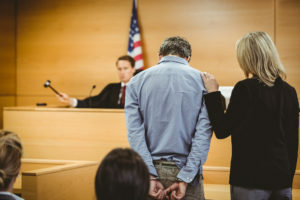 Will I Seem Guilty If I Hire a Criminal Defense Lawyer? When Can Police Use Dog Sniff Tests? As a Brooklyn criminal defense lawyer, Steven Hubert’s goal is to help you avoid prosecution, jail, and other penalties. His team will thoroughly investigate the allegations made against you to ensure you receive fair treatment in court. © 2017 Hubert Law Office. All rights reserved.